Recently, however, they’ve made it a lot simpler for everyone… All new Stock subscribers now get the first month including 10 downloadable assets completely free, with zero payment required until the second month. But if you cancel during the first month, then your credit card would never be charged – and your service will continue until the end of that first month. Even if you cancel within 14 days after the beginning of the second month, you’ll still be fully refunded. On top of that, they’ve enabled easy online cancellations for any customer who decides not to continue. Cancellations can be made at any time by visiting your Manage Account page (or by contacting Customer Support in your region). 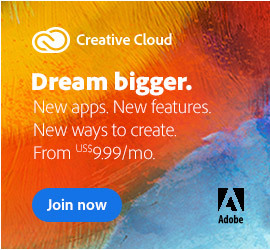 Note: You do not need to be a Creative Cloud subscriber to sign up for Stock (not even the free level of CC), or even to be using Adobe software at all – because Stock can also work standalone. 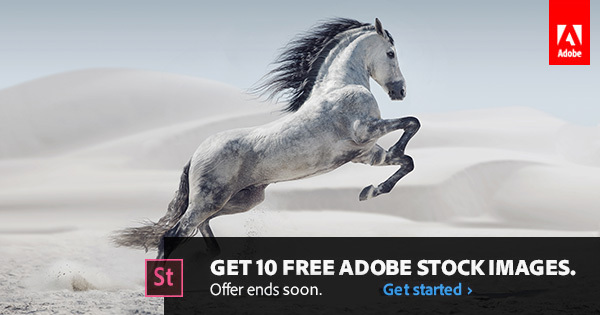 Either way, all you need in order to take advantage of this offer is an Adobe ID, which can be quickly created by anyone for free. Better still, since the acquisition, Adobe has added some really cool features to Stock that fully integrate the service with all of your favorite tools like Photoshop and Illustrator, as well as impressive new Visual Search capabilities to make it super-easy to use and fast to find the perfect image for your needs. The Stock integration with the CC tools is very helpful and a big time saver. For example, you could do a quick search to find a dozen Stock images to try out and see which one works best. You can drag them all into Photoshop and then continue to edit and manipulate your composi­tion. Then when you’re done and have decided which ones to keep, just tell Photoshop to license them – and those preview images will be seamlessly replaced with the full-quality, non-water­marked versions, while retaining all of your edits without missing a beat! And if you’re part of a larger organization, then you can use the group-enabled capabilities of Adobe Stock (such as sharing pooled images) to collaborate together with your coworkers on larger projects using Creative Cloud for Teams. 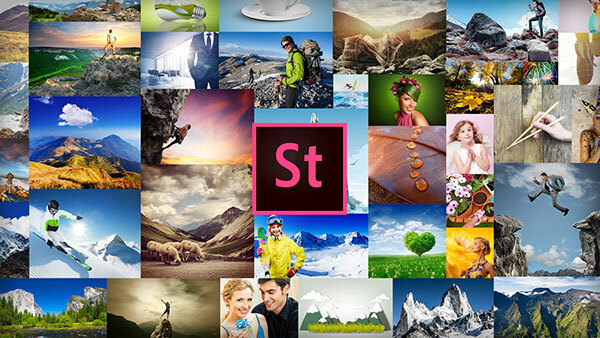 On top of being an Adobe Stock customer, you can also easily become a contributor as well – and set yourself up to make money by doing so. 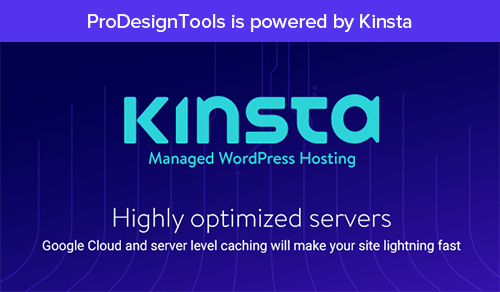 There are no registration or portfolio management fees, and you’ll be able to showcase your work to millions of buyers around the world, 24/7. Thanks to enormous daily sales volumes and royalties of up to 63% of the sales price (depending on the form of purchase), you could potentially earn thousands of dollars every month. Just submit your best original work, and if it’s accepted after a short review period, then you’ll receive a royalty every time one of one of your images or designs is sold through the service – via both Adobe Stock and Fotolia. The submission process is simple and automated, thanks to new smart auto-keywording and auto-categorization tools. Selling your work to the millions of creatives on Adobe Stock is an easy way to add more revenue that both complements your creative career and diversifies your portfolio. Contributing to Stock can be part of any creative lifestyle, whether you’re looking for a full-time commitment or a part-time gig. This can provide whole new opportunities to expand your portfolio and earn meaningful income – essentially, helping you to make money doing what you love. Heck, with a little ingenuity, you could potentially even turn your next vacation into a paid holiday. If you have any additional questions, you’ll probably find them answered in the comprehensive Adobe Stock FAQ! Or feel free to ask them below. Do you have any questions about Adobe Stock? Just ask them below and we’ll get you answers fast! Thanks for the nice offer. 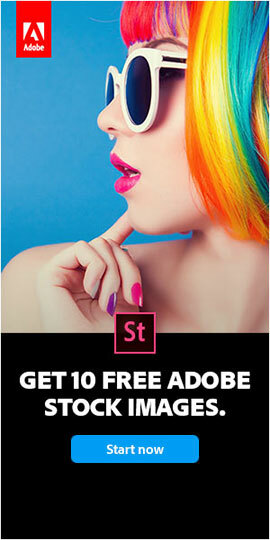 Do I need Photoshop CC to use Adobe Stock? Or can you use any version of Photoshop, or another application? Hi Mary, thanks for your question. Although Adobe Stock is tightly integrated with all the CC tools, you don’t need to have them in order to use Stock. Instead, you can simply use the web interface of Adobe Stock to search, preview, license, and download any asset – and then import or load the image or graphic into any program you like (including any version of Photoshop, Illustrator, etc). In any event, if you don’t have the CC tools yet but would like to try them, then you can also download the free trials to see how well they work together with Stock. Sure Cody, glad to help. Can I download and keep and use these images/vectors forever? Can I use them for any purpose? 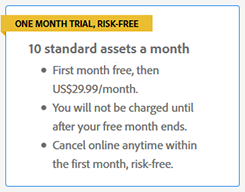 Yes, in general, you can use all assets that you download from Adobe Stock forever and royalty-free – there are no expiration dates nor geographical restrictions… That goes for the 10 free images you download as part of your free trial, as well. And yes, you can use them for almost any purpose, including websites, social media, artwork, printed or electronic documents, etc. There are some uses where you would need to get an Extended License (at a modest cost), but that’s typically only for things like printing on posters or T-shirts, etc. – in other words, when creating products or services that are intended for resale. Just wanted to download the free book about adobe lightroom and it keeps redirecting me to sign up. I purchased the full Adobe CS6 a few years back and now every time I try to open my files, it says I have to subscribe to CS6. I already own it. Is this a scam? OK, then you’d need to contact Adobe as advised. No problem – see our set of Creative Cloud Direct Download Links. Got my Free Stock, thanks for This. 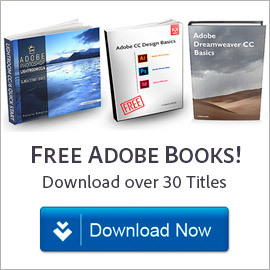 So as a subscriber to Adobe CC full access, can I delete all Adobe 2018 programs, and stay with Adobe 2019 products (Photoshop, Indesign, Bridge, Acrobat, etc). Not clear of any costs for doing so? Hey Manny, there is absolutely no problem in doing that. You can use (install or remove) whichever CC versions you want on your computer, even going back to CS6 if you desire… There is no additional charge for any release.